Uplowman is a well-served area, to discover more of the facilities and services available scroll down the page. St Peter’s Church has nestled in the shelter of Uplowman Hill since the 15th century although it was restored in 1864 with the addition of a new chancel. It is one of the six churches in the Sampford Peverell Mission Community of Churches. It has an active congregation with numerous events (Harvest festival, Christmas tree festival etc.) and all are welcome. The Rev. Sue Blade is our rector. There several practices in Tiverton. No recommendation can be given so it is advisable to ask neighbours or to visit personally. There are also others in Cullompton. Tiverton Dental Centre, 62 Bampton Street, EX16 6AH, tel. 252992. Please consult yellow pages or www.yell.com for a wider selection. The Redwoods Inn lies at the centre of the village and has been around for 200 years. It is owned by Paul and Juliet and is open every lunchtime for meals (excluding Monday) and every evening. Senior citizens lunches are available on Tuesdays and Wednesdays. Fancy a takeaway but don’t want to travel to Tiverton then the Redwoods do fish/chips, sausages, chicken etc. You can even have a roast dinner if you take your own plates! Just telephone and collect. It is also the place to join one of the many skittles teams which plays from the old butchers shop alongside the pub. The main library is in Tiverton. There is also a mobile library service, which although it does not visit Uplowman village, does visit Sampford Peverell at the Legion Hall car park(14:10 to 15:10, and also at Halberton at Lower Close. Unfortunately it only visits every 4 weeks so you need to look at the Devon web site. See details on the Devon County Council website for more details. Unfortunately our local group has closed temporarily but there is one at Sandford Peverell. Uplowman Post Office, Lowman Cross. Nearly opposite the Redwoods and next to the old phone box (no longer works). 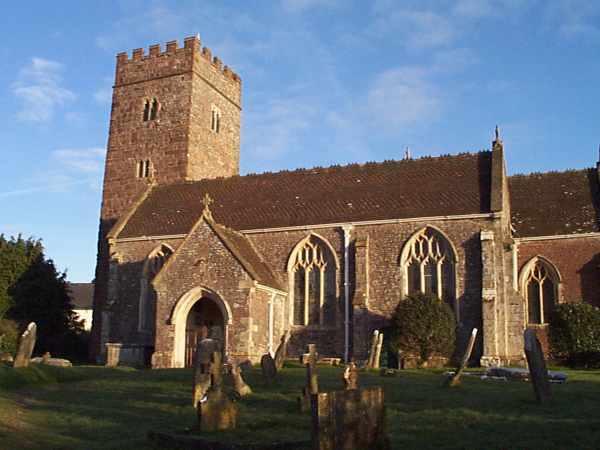 Uplowman Church of England Primary is a thriving village school located in the beautiful countryside of rural Devon, yet only a few miles from the M5. Since 2015 it is part of the Halberton and Uplowman Federation where it shares a headteacher and Governing Body. It has an active PTFA who raise funds each year and hold social events just so families can get together to enjoy each other’s company. We are proud of our strong family atmosphere where every child is cherished (as stated in our last Outstanding Church Ofsted). This truly supportive atmosphere is conducive to successful learning and both staff and children have high expectations of work, behaviour, good manners and consideration for all in our school community. The School was originally built in the 1880’s but it has recently had a modern extension in keeping with the old exterior. However, within the school there are modern facilities with a ratio of almost one computer per child, interactive whiteboards in every room and a wide range of other resources, including PE equipment which enables the children to enjoy keeping fit and healthy at a school in a village setting. There are about 73 pupils from Uplowman and the surrounding villages. The closest secondary school is the Uffculme Academy (phone 840458) which has one of the best academic records in the area. In 2010 a new footpath was built connecting the school to Whitnage Road to keep the children safe and to enable parents to park at Lowman Cross/Village Hall and to walk a short way to collect/drop-off their children. Parents are thus encouraged to park their cars at the centre of the village and not to drop-off near the narrow main school entrance: this is to ensure the safety of every child. The headteacher is Steven Badcott. Although the village no longer has a local shop the nearest one (about 1.5 miles) is the Spar Shop at Sampford Peverell on the main road just past the tennis courts with adequate parking. It is also the nearest shop at which to get your newspaper. It also has a Post Office which is useful for those days that our own Post Office is not open. It is open every day 7am to 9pm. We live in a small, off the main road, village and unfortunately public transport is limited. There is a bus that runs on a Friday at 10:00 from the bus shelter at Lowman Cross in to Tiverton and returns at 3:30. There is a Ring-a-Ride scheme that is for Disabled and Frail Elderly people to allow them the opportunity to shop and use local amenities. It operates similar to a taxi service that you ring a number (242099 between 9am-3pm) and the specially adapted mini-bus collects you at your home. Ring the number to find out more details. There are numerous taxi firms. The nearest rail station is at Tiverton Parkway which is located near to Sampford Peverell and is 3 miles away. Go through Sampford Peverell and take the first right. There are two large car parks which cost £6.10 per day (Mon-Fri). Alternatively book a taxi (see previously). There is a village oil scheme whereby instead of each individual placing a small order the orders are consolidated to get a better discount, plus by ringing around at least 10 suppliers an even better price is obtained. It works easily and there are plenty of orders during the year that ensures you will not need to order separately. The main requirement to join is that you are in the Parish and have an e-mail address that is accessed frequently, as communication is by e-mail. And a new addition is the tennis court which is free to use without booking.